More than a gallery, Art Design Consultants, Inc., is one of the nation’s leading full-service art consultation companies that’s sole mission is to create beautiful environments. 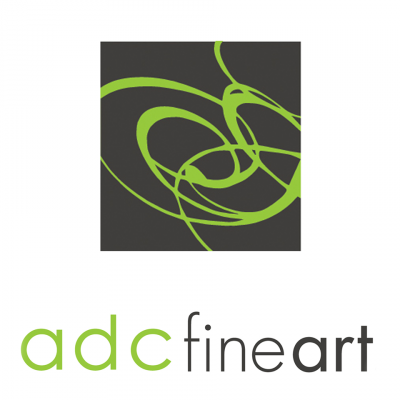 Whether an individual or an organization is seeking stunning fine art, archival-quality framing, or art consultation services for large-scale installation projects, ADC’s team consultants have the expertise to assist clients through the entire art selection process. With a down-to-earth approach that is free of jargon and pretension, ADC makes buying art an easy, fun, and memorable experience. For the past 25 years our consulting services have been unmatched; our expert consultants offer over 100 years of combined experience with over 5,000 satisfied ADC clients. Our superior attention to detail, impeccable taste, and desire to serve are just some of the reasons why many of our clients return again and again. ALICE F. AND HARRIS K. WESTON ART GALLERY The Weston Art Gallery’s mission is to present and support the visual arts of the Tri-state region through exhibitions and special programs. Its objectives are to foster an awareness and appreciation of the visual arts among area residents and to support the development of professional and emerging artists of the region. 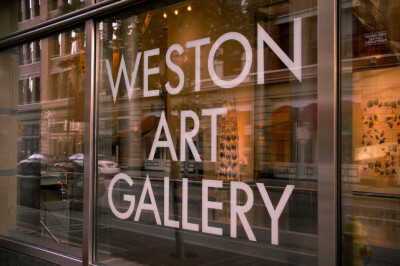 One of the most sought after exhibition venues in the region, the Cincinnati Arts Association’s Weston Art Gallery is acclaimed for its eclectic mix of emerging and professional artists presented in museum-quality environs in the heart of downtown Cincinnati’s restaurant and theater district. With galleries on two levels and 3,500 square feet of exhibition space, the Weston serves as a staging ground for the most intriguing visual art by local, national and internationally recognized artists working in all media. 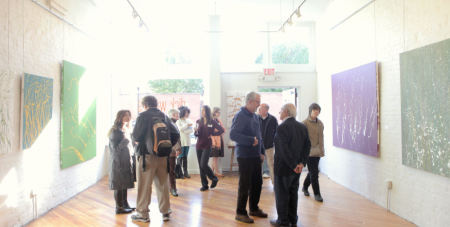 Gallery visitors can see the latest artist projects, collaborations, site-specific installations, and new commissions as well as traditional work by the area’s finest exemplars. Here’s to all the risk-takers, the innovators, the independent spirits that won’t be satisfied by a typical college experience. 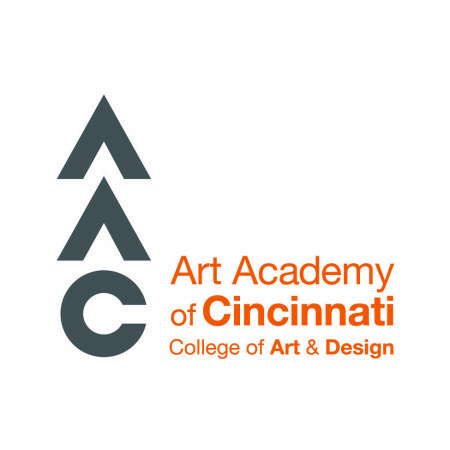 The Art Academy of Cincinnati is here to redefine your idea of an education and offer you something different. We’ve been making artists since 1869 and we’re still making creatives today. We know that studying the arts can take you anywhere and transform you into anything you want to be. Dare to become a contemporary visual artist or designer and make a difference in the world around you as a creative professional. Art isn’t just our passion, it’s our obsession. We are a collective of die-hard creatives at home in a vibrant community. 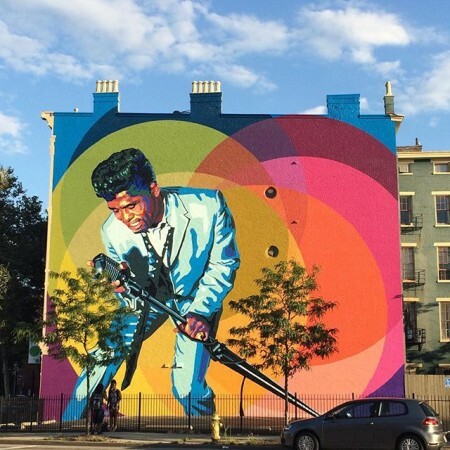 Situated in historic Over-the-Rhine, our neighborhood provides a constant source of inspiration. AAC’s campus is a cultural cornerstone in our community and a home base for our student’s creative pursuits. Our mission at Baker Hunt Art & Cultural Center is to provide professional art instruction in a compelling learning environment for the enrichment of studies in the Arts & humanities. We stay true to that mission every day by celebrating the artistic spirit in everyone and bringing art and cultural experiences to our community through education performances and events. Welcome to Baker Hunt Art & Cultural Center, one of Greater Cincinnati’s finest artistic treasures. Established in 1922, we provide students from 5 to 95 a unique opportunity to pursue a creative learning experience in a wide range of subjects and endeavors. From drawing, painting and ceramics to quilting, mosaics, creative writing and many other mind and spirit enhancing educational opportunities, we invite you to take a moment to explore our course offerings. No doubt you’ll find a class that is right for you. We are certain you will find something to inspire you! Our talented and experienced faculties’ approach teaches the tools of art in an affirming and positive way. Whether exploring your creativity for the first time or enhancing your well developed artistic skills, Baker Hunt offers a wide selection of classes for all levels from inexperienced beginner to the advanced student. Centrally located in Covington’s historic Licking River Mansion District, our 3.5 acre historic campus fosters a unique atmosphere to pursue your learning. Our well lit off street parking (enter off 7th street) adds to the convenience of the Baker Hunt experience. Please contact us to find out more about Baker Hunt or to schedule a tour. Hope to see you on campus soon! Basketshop is dedicated to following the trend of a creative generation that relocates themselves to the bread basket of our society. In the divided state of affairs we have found ourselves in collectively, our response is to invoke the notion of weaving as a model for harmonious interactions. We are focused on bringing communities together in order to create a vessel that is constructed and defined by disparate points of view. Basketry is among the first forms of craft that served humanity as both art and function through design. The goal of our program is to externalize the structure of artistic process so that it can be accessible to everyone. From the ridiculous (BCM’s infamous two-headed calf) to the sublime (our fascinating collections), this family-friendly museum celebrates the unique arts, heritage and culture of Northern Kentucky as part of the Ohio Valley. Examine a mammoth fossil, take a ride through time with the beautifully restored 1892 streetcar “Kentucky,” activate the engines, lights and music of a miniature, mid-century community in the Faragher G-gauge train display and even watch a drive-in movie from the seat of a 1959 Buick Electra convertible. View works by prominent regional artists as Mary Bruce Sharon, Wolfgang Ritschel, Harlan Hubbard and others. Music@BCM concerts are “the place to be on Thursday nights” during the summer, while the annual Holiday Toy Trains display is a child’s delight in winter. And where is this treasure trove of wonders? In Covington’s Devou Park, 1600 Montague Rd., Covington, KY 41011. 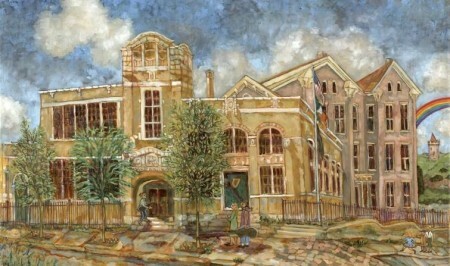 For more information about BCM, call (859) 491-4003, email info@bcmuseum.org or visit www.bcmuseum.org. Behringer-Crawford Museum is supported in part by our members; the City of Covington, Kenton County Fiscal Court, ArtsWave, Kentucky Arts Council and The Carol Ann and Ralph V. Haile, Jr. US Bank Foundation. Brazee Street Studios is an artist community housing over 25 professional artist studios, Brazee Street School of Glass, and C-LINK Gallery. Located in Oakley’s growing arts district in Cincinnati, Ohio, Brazee Street Studios’ building is the renovation of Oakley Tool and Die, a factory in operation from 1930-1980. Brazee Street School of Glass (SOG) provides quality education in kilnforming techniques and is a recognized Bullseye Glass Resource Center. SOG offers a range of classes for for artists, adults, and children of all skill levels. Brazee Street Studios is the brainchild of local artist and Oakley business owner, Sandra Gross. After years working as a glass artist, Sandy wanted to create a glass studio that could offer quality education in kiln-formed glass to the Cincinnati community. 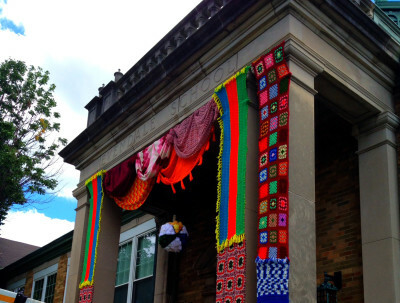 By combining this educational mission with her dedication to green construction and ecological conservation, Brazee Street Studios now exists as a unique community and educational space in Cincinnati. Our Story Cincy Art Link (or C-LINK) grew from the needs of our diverse community at Brazee Street Studios in Cincinnati, Ohio. Patrons have grown to know Brazee Street Studios as a place to find local artists, classes, exhibitions, and to request custom projects. Over the last few years, we have given hundreds of referrals to the best local creatives we know to carry out customer requests. cincyartlink.com is the expansion of that service – one website to browse, connect, and hire the best local creative professionals in Cincinnati beyond our walls at Brazee Street Studios. We are dedicated to strengthening the creative economy in our city and believe Cincy Art Link can do so. Our Mission The primary mission of Cincy Art Link is to connect you to the best local creative professionals in Cincinnati. Our goal is to provide a more thoughtful and personal connection to local artisans, craftsmen, and designers through a state of the art networking platform to browse and select services from a range of creative professionals. Our goal is to simultaneously cultivate a more vibrant and sustainable creative economy in our city for both artisans and patrons. We believe in the value of a high quality, locally crafted item or service, and we believe there is exceptional talent among us. 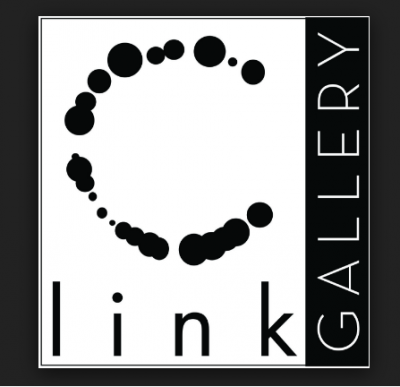 www.cincyartlink.com is where to find the best. 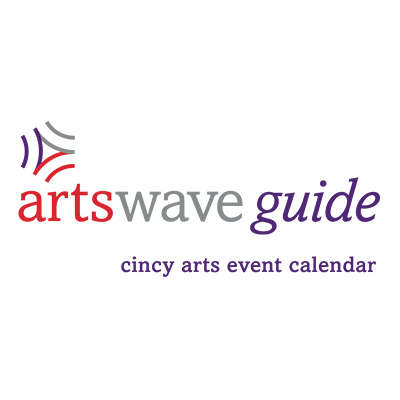 A new civic group dedicated to bringing new and exciting Art based programs and events to the West Side of Cincinnati! We started a new event in 2015: West Side Star karaoke contest. It was a big hit and we are currently planning out 2016 contest. Art & Music Festival: This is our third year for this event, showcasing professional, semi professional and student artists, while listening to various musicians and singers perform. Ugly Christmas Sweater/Cheviot Pub Crawl: This is also in it’s third year. Paticipants wear their ugliest Christmas Sweaters and visit Cheviot Pubs. Two prizes are awarded; one for ugliest sweater (as voted by the public on facebook) and a drawing of all participants. Details will be announced later. We will adding additional workshops, classes and events! Cincinnati Art Underground is a dynamic contemporary art gallery, showcasing art by emerging artists from Cincinnati and beyond. Offering a program of art openings, artist talks, and other art events. Working with clients to connect them to a new generation of artists, and discover art that they love. Open during scheduled events, by appointment and by chance. Vision Cincinnati Museum Center will be known for its commitment to understanding the richness of our past, present and future by providing world-class learning experiences for children and adults. Mission Cincinnati Museum Center inspires people of all ages to learn more about the world through science; regional history; and educational, engaging and meaningful experiences. Profile Cincinnati Museum Center is a one-of-a-kind, multi-museum complex housed in Union Terminal, a historic Art Deco train station and National Historic Landmark. Museum Center’s major offerings at Union Terminal include the Cincinnati History Museum, the Cincinnati History Library and Archives, the Duke Energy Children’s Museum, the Museum of Natural History & Science and the Robert D. Lindner Family OMNIMAX® Theater. Museum Center is the largest cultural institution in the city of Cincinnati, with more than 1.4 million visitors per year. Our permanent and temporary exhibits are supported and complemented by a state-of-the-art collections and research facility, the Geier Collections & Research Center, educational programs, professional development programs for teachers, day and overnight camps, public lectures and programs, tours of historic sites and community-wide cultural events. Museum Center’s collection encompass more than 1.8 million artifacts, art works and archives and is incorporated into our exhibition, research and education programs. In addition, Museum Center has been working with our collaborate partner, the Ohio Chapter of the Nature Conservancy, to protect the Richard and Lucille Durrell Edge of Appalachia Preserve System for more than 50 years. The Preserve is the largest privately-owned protected natural area in Ohio at 16,000 acres. It provides critical habitats for more than 100 rare plant and animal species. The Eulett Center is Museum Center’s research and education facility at the Preserve. It has increased staff research capabilities, greatly expanded opportunities for educational programming and has enhanced the Preserve’s relationship with the Adams County community. Institute of Museum and Library Services Medal In 2009, Cincinnati Museum Center received the National Medal for Museum and Library Service, the nation’s highest honor for museums and libraries. The award, given by the Institute of Museum and Library Services, recognizes institutions for extraordinary civic, educational, economic, environmental and social contributions to their communities. American Alliance of Museums Accreditation In 2012, Cincinnati Museum Center achieved accreditation from the American Alliance of Museums (AAM), the highest national recognition for a museum. Accreditation signifies excellence to the museum community, to governments, funders, outside agencies and to the museum-going public. Of the nation’s estimated 17,500 museums, 778 (only 4.5%) are currently accredited. Cincinnati Museum Center is one of 26 museums accredited in Ohio and joins the Cincinnati Art Museum, Taft Museum of Art and Cincinnati Zoo and Botanical Garden as accredited institutions in Cincinnati. Cincinnati Museum Center is one of only 16 institutions nationally honored with both the IMLS award as well as AAM Accreditation. Clifton Cultural Arts Center’s mission is to strengthen the critical link between participation in the cultural arts and successful, healthy children, adults and communities. CCAC advances education, urban quality of life, and sustainability among local arts organizations and has attracted more than 240,000 audience members in its nine-year history. 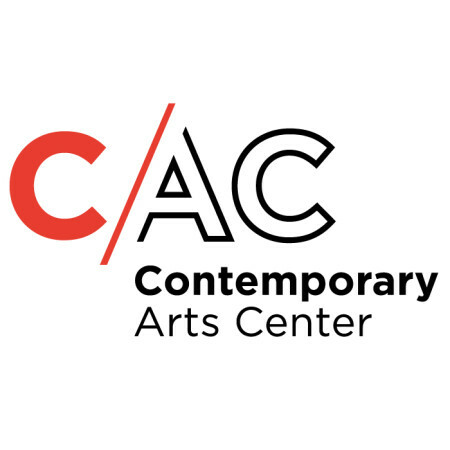 Serving residents of all ages, socioeconomic capacities and ethnic backgrounds in Uptown and throughout Cincinnati, CCAC offers arts and cultural classes, art exhibits, and community-based arts programs and events. The Contemporary Arts Center provides the opportunity for all people to discover the dynamic relationship between art and life by exhibiting, but not collecting, the work of progressive artists. The DAAP Galleries are intended to serve a broad and diverse audience of students, faculty, and staff of the University, as well as from the wider Cincinnati community. Each gallery is open Sunday-Thursday 10 am-5 pm and has a unique focus as follows: The Dorothy W. and C. Lawson Reed, Jr. Gallery hosts exhibitions that focus on the fields of study associated with the College of DAAP, with emphasis on current work in those disciplines brought in from outside the college to enrich the exposure of students to work produced elsewhere. The Philip M. Meyers, Jr. Memorial Gallery is a venue for presenting the work of DAAP faculty and students to the university community, and hosts other exhibitions broadly reflecting the varied disciplines associated with the larger university community. A beautiful gallery in down town Cincinnati offers a wonderful location to experience art and community. 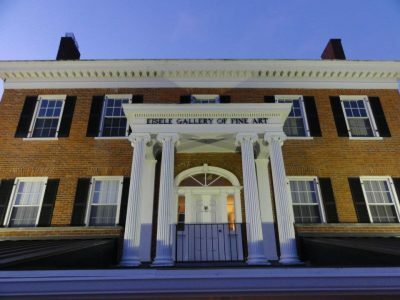 The Eisele Gallery of Fine Art is located in the Historic Ferris House c1807, just ten miles east of downtown Cincinnati, Ohio, off Wooster Pike/Rt.50 in Fairfax. One of the oldest and most respected art galleries in Cincinnati, specializing in original paintings by noted 18th, 19th and 20th century American and European artists. Our collection includes works by renowned American Impressionists, Taos and Hudson River School artists, American Tonalists, Cincinnati Golden Age painters and contemporary works by local and regional living artists. At the Evendale Cultural Arts Center you can be a dancer, photographer, artist, actor, wine expert and more. Not sure which class or workshop suits you? Give us a call 513-563-1350 and we can help you find the perfect fit. Our instructors are so talented and eager to enrich the lives of all ages. You don’t need to be a resident to join us! Everyone’s welcome! 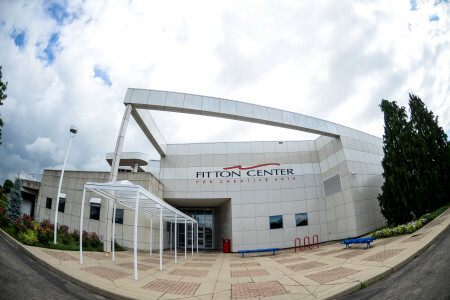 ABOUT THE FITTON CENTER COME CURIOUS AND LEAVE INSPIRED. The Fitton Center for Creative Arts isn’t just a building – it’s an experience. We are a non-profit community arts organization that has been a part of the Hamilton community for over 20 years. Visit us soon to see what we have to offer. Learn something new in one of our art classes or workshops that are open to students of all ages. Be enthralled by extraordinary musicians, actors and dancers at one of our live performances. Stroll through our remarkable art galleries, or reserve one of our diverse venues for your special event. Become a part of the Fitton Center, and redefine the way you experience the arts in Hamilton! Our Mission Building community excellence through the arts and culture. Expect the unexpected! Come curious and leave inspired. The Fitton Center for Creative Arts isn’t just a building – it’s an experience. We are a non-profit arts organization that has been a part of the community for over 20 years. Visit us soon, and see what we have to offer. Learn something new in one of our art classes or workshops that are open to all ages. Be enthralled by extraordinary musicians, actors and dancers at one our live performances. Stroll through our remarkable art galleries. Or you can take the opportunity to reserve one of our diverse venues for your special event. Become a part of the Fitton Center, and redefine the way you experience the arts in Hamilton! 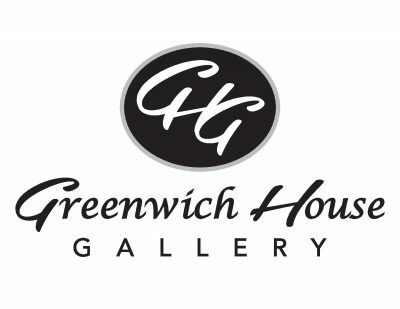 Greenwich House Gallery is a fine art gallery and event space located in historic O’Bryonville, just minutes from downtown Cincinnati. Specializing in contemporary work and American impressionism, pieces are carefully curated to please the most astute eye. The gallery has also become a favorite place to host parties, showers and fundraisers. Stop by or contact us today for more information! The IHC was founded to promote Irish culture in Cincinnati through the study of customs, dance, education, film, genealogy, history, language, lectures, literature, music, mythology, poetry, social interaction, song, sport, theater, and the visual arts. Located on the east side of Cincinnati in a renovated late-19th and early-20th century school building, the IHC is dedicated to fostering Irish heritage, culture and traditions in our city and providing a place to do so that is affordable, accessible and comfortable. 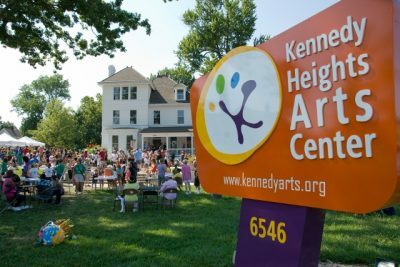 Founded in 2004, Kennedy Heights Arts Center provides a wide range of arts and cultural experiences that embrace diversity, foster creativity and build community. Serving youth and adults of all ages, programming includes arts education programs; a gallery with rotating art exhibitions; and cultural events from poetry readings to music concerts to festivals. Our inclusive environment welcomes all; we’re proud that 100 percent of our programs are accessible to all income levels. The Arts Center is housed in two reclaimed and beautifully renovated spaces: the historic Kennedy Mansion and a contemporary 10,300 sq. ft. Lindner Annex which are available to rent for special events, programs or performances. The Center also provides ten artist studios for rent. 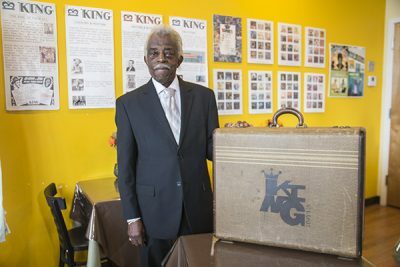 AN HISTORIC RECORD LABEL – A PROUD NEIGHBORHOOD – A COMMUNITY-ENGAGED UNIVERSITY These unique community assets provide the foundation for King Studios, LLC whose goal is to expose and energize the legacy of Cincinnati’s historic King Records. Inspired by the legacy of King Records and fueled by the academic investment and economic development of nearby Xavier University, King Studios features the dynamic integration of music and arts education, entrepreneurial training, and cultural history. King was instrumental in the history of the civil-rights movement in two important ways: it created a racially integrated work place, and it integrated a diverse set of musical traditions. King Studios aspires to share that rich history in contemporary ways that engage the community and the world in the legacy of King.